Glorious sunshine, flat calm seas and NO MIST! Classic Cornwall diving. 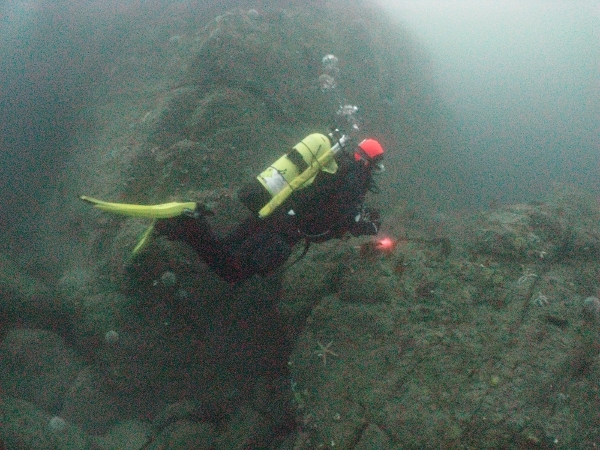 Runnel Stone was double the previous viz at 10m and Bucks 12m+. 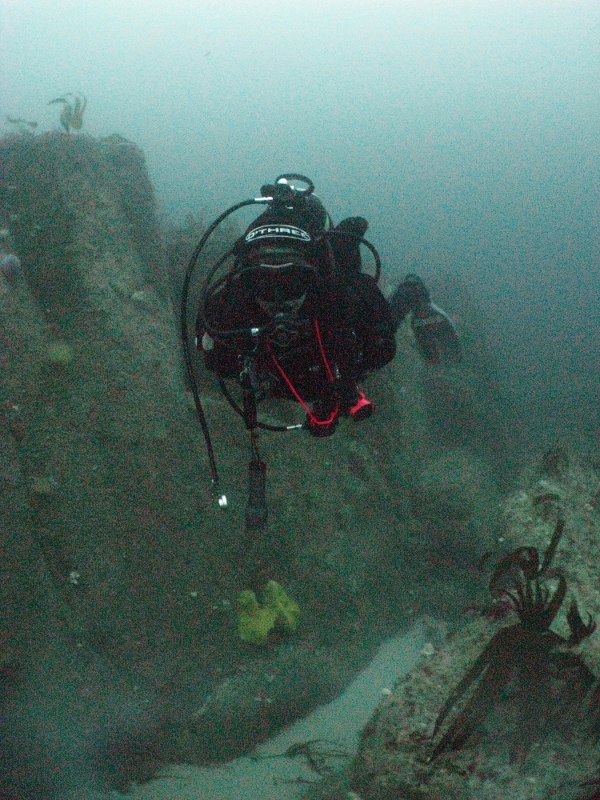 Viz of the week was the wreck of the Lincoln. You could see for 15m at 30m. Reiko diving Sharkey’s Shard at Poldew. 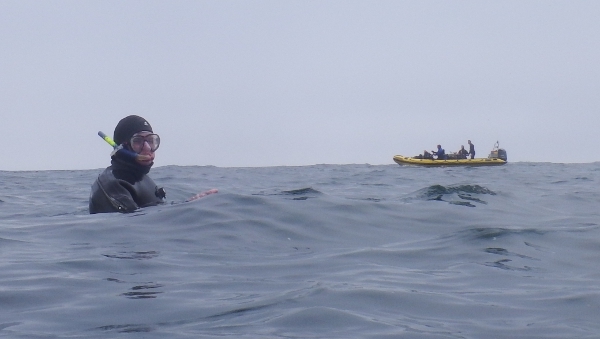 We snorkelled with basking sharks – though no one managed to get a decent picture. So here is Mark looking for one. 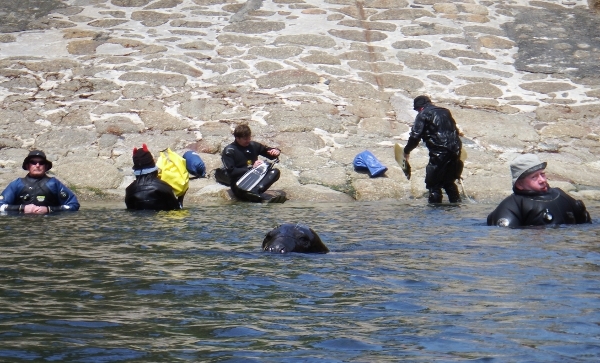 A friendly seal followed us all the way in from the boat to the beach in Porthgwarra. 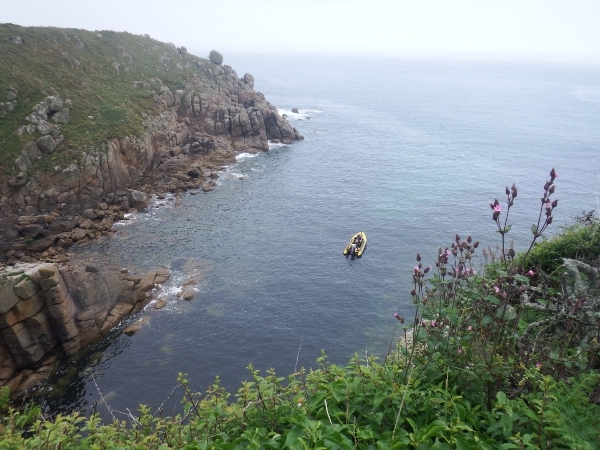 The sun shone as we relaxed after pasties and watched the boat moored in the bay at Porthgwarra. 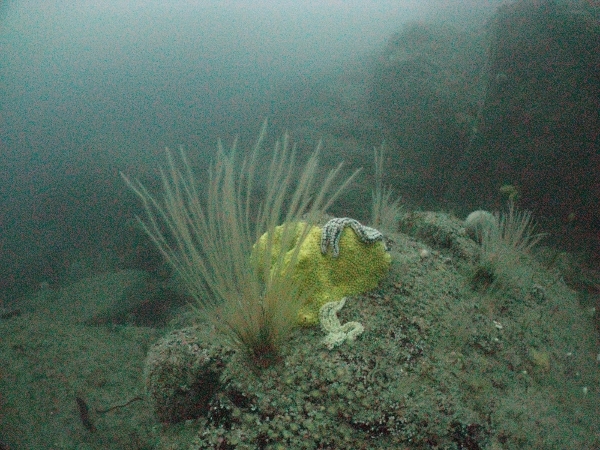 Star fish with a giant yellow boring sponge. And strangely, when we go back to the Runnel Stone buoy it looks a bit different. 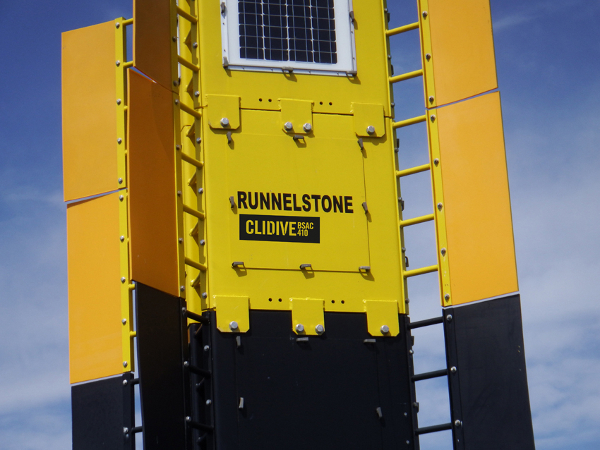 WE LOVE THE RUNNEL STONE!